Reliable communication solutions to provide large area coverage for firefighters. When everyone is running away from danger, a fire truck is heading towards it. In order for these heroes to maintain safety and get their job done, all their communications must be efficient and user-friendly. Firefighters and dispatchers require wide-area coverage to communicate across multiple geographical sites. Both mobile and portable radios are needed in order to communicate between the driver, dispatcher, and firefighters in the field. Since the radios will be used in harsh and extreme environments, it is necessary for their radios to be rugged and weather resistant as well as being capable of lasting a full day’s shift. When responding to a fire or emergency situation, every second matters. 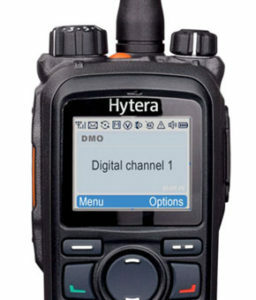 Firefighters require the ability to respond to pressing situations as seamlessly as possible, and by providing them with clear digital voice communications, data messages and integration into popular fleet management software, the DMR Series radios allow dispatchers to manage and dispatch their entire team efficiently. 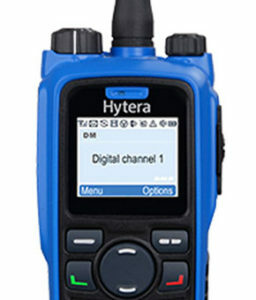 In the MD782G, Hytera offers a digital mobile radio with GPS and telemetry features. 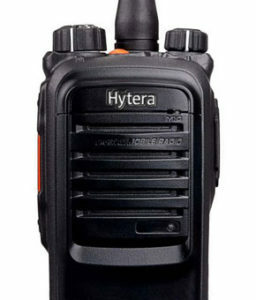 Hytera’s PD7 Series portables offer a wide variety of accessories including heavy duty speaker microphones, as well as covert and Bluetooth earpieces allow for firefighters to easily communicate effectively in noisy environments. The long-lasting high capacity batteries ensure usage for multiple shifts when needed. 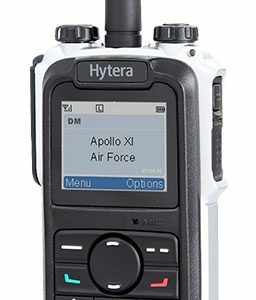 Hytera also has base stations to repeat the signal and extend coverage for larger areas and multiple sites, providing a customizable radio solution for ambulance companies looking to migrate to clear digital communications.